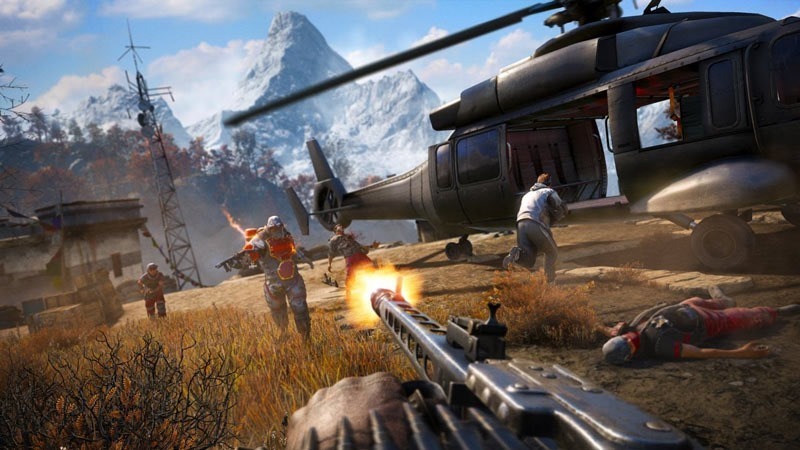 For all that Far Cry 4 did wrong, it did much more right – and is one of my favourite games from 2014. Any game that allows you to kill an in-flight eagle with an exploding bear is a winner. That’s the sort of thing that allows me to overlook some of the silly design decisions. The game’s kicked off its round of extra, paid for downloadable content – and it’s forced me to take off those blinkers. 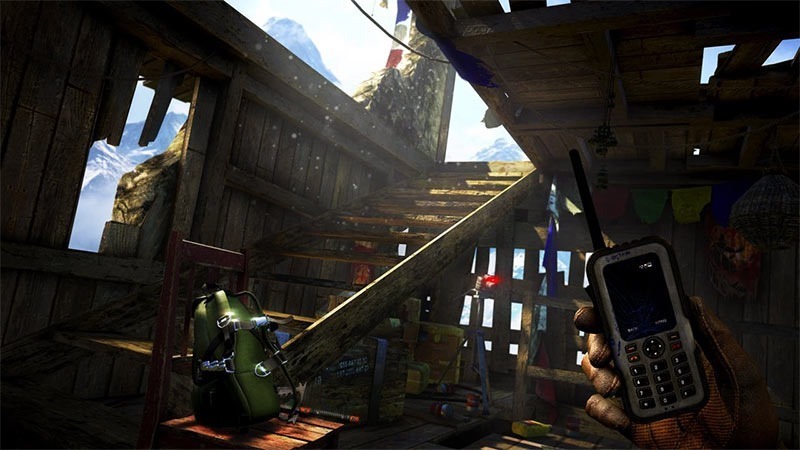 Far Cry 4’s Escape from Durgesh Prison is an exercise in how not to do DLC. For starters, its very name is a misnomer. By its title, you’d infer that you’d have to actually escape from Durgesh Prison, the holding cells you were tossed in to in the actual game. Instead, it’s a look at what may have happened after your jailbreak. Loaded up as a self-contained game mode, it stars you, as an Ajay Ghale bereft of all the upgrades. You find yourself in a radio tower in the northern part of the map, with stylish protagonist Pagan Min egging you on. As with your skills and upgrades, all of the outposts, loot containers and propaganda posters have been reset, waiting for you to pillage and plunder anew. Here’s the run though; it’s a timed mode, with a dash of permadeth. You start with no weapons, ammo or gear and you’ve got 30 minutes to get to an exfiltration point. Once there, you’ll need to defend the area against hordes of reinforcements. Any untimely death sets you right back at the beginning, once again atop the tower with every enemy you’ve killed, outpost you’ve liberated and chest you’ve looted reset. Somebody over at Ubisoft must have figured that with roguelikes – games like Spelunky and the Binding of Isaac – being so popular, perhaps it was time for a AAA game to go that route through its DLC. As an idea, it’s not a wholly bad one. In its execution – and the choice of game – it fails miserably. Where it could be a cool, challenging mode it just ends up being an unnecessary grind. Here’s why: The 30 minute timer isn’t a strict one. Things that you do, like liberating outposts, defusing bombs or spinning those religious wheels, tearing off posters and the like add extra time to the counter. Even the permadeth isn’t strict. When you die, you’re beamed back to the beginning tower, but all of your skills, weapons and gear remain. Everything you’ve done, however, is reset, so you get to do it all again – only you’re a little bit stronger. The entire thing devolves in to being a rather repetitive drag. While there are no extra trophies or achievements, you do get to vie for a spot atop the leaderboards. As of writing, the leaderboard champ cleared the thing in over two hours. Escape from Durgesh has nothing to add to the Far Cry experience. It adds no new weapons, no new locations or characters and no padded narrative. It distils the entire Far Cry experience in to a smaller, shorter, single mode – and manages to do so by removing the fun. As a freebie, it would be an interesting experiment, but as paid DLC – R149.00 worth – it’s a slap in the face. It’s part of the season pass, so if you’ve purchased that you’ll already be geared to inflict Escape from Durgesh on yourself, but if not, you’re probably better off waiting for the Valley of the Yetis. Unless you’re the sort who loves doing the same thing over and over again within artificial confines, there’s very little redeeming about this DLC. Insanity indeed.